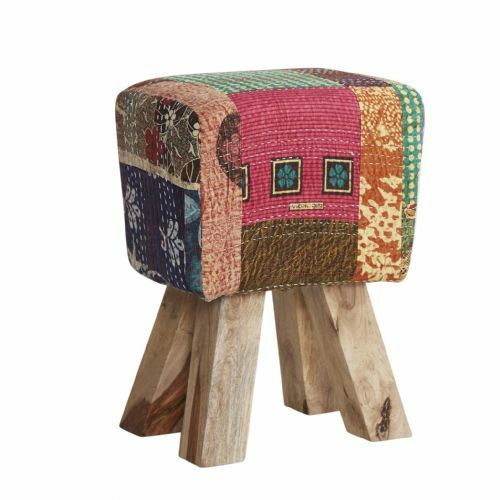 Textured fabric footstool with wooden legs. 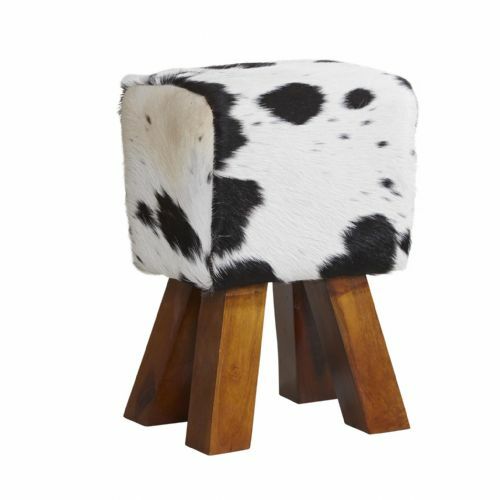 Black and white cowhide footstool with wooden legs. 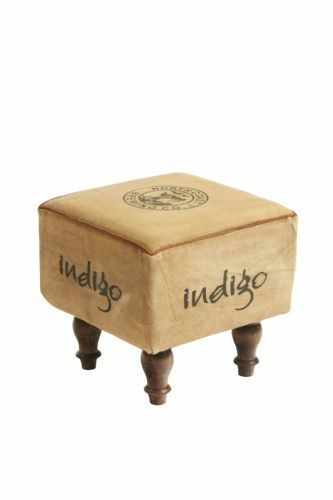 Round heavy duty canvas pouffe with industrial design. 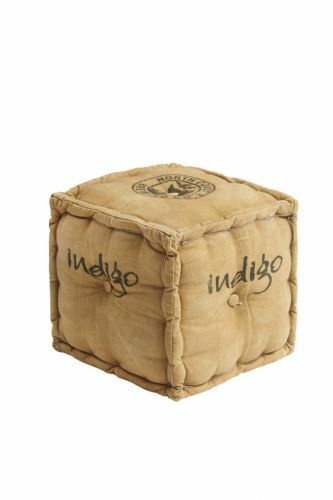 Heavy duty canvas square pouffe with industrial theme. 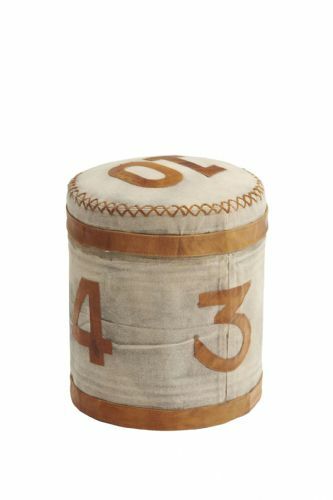 Round pouffe with leather trim and number detail. 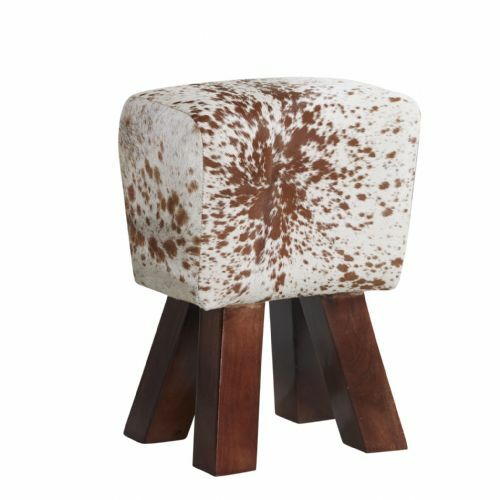 Put your feet up and relax with a selection from these unusual footstools and pouffes. 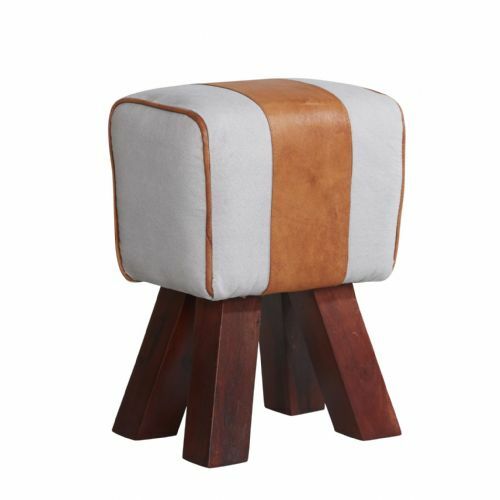 They come in a choice of design, shape and are made from a variety of materials such as leather, buckskin, cowhide or canvas meaning there is something here to suit all homes and decor. 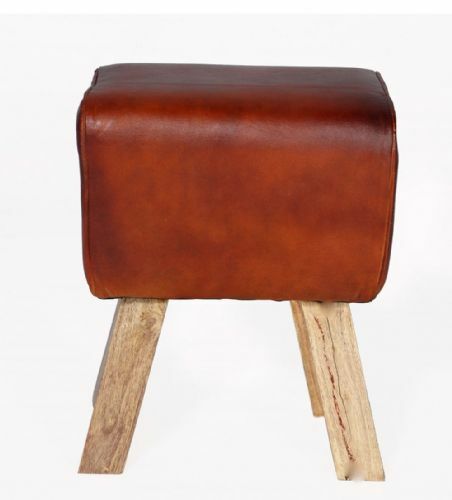 They are delivered fully assembled and free of charge to most mainland UK addresses.